Heat the oil for frying (for us, this entails plugging in the Fry Daddy). Peel the plantains. It’s not as easy as a banana; you may need a knife, but the idea is the same and your end result will look pretty similar. 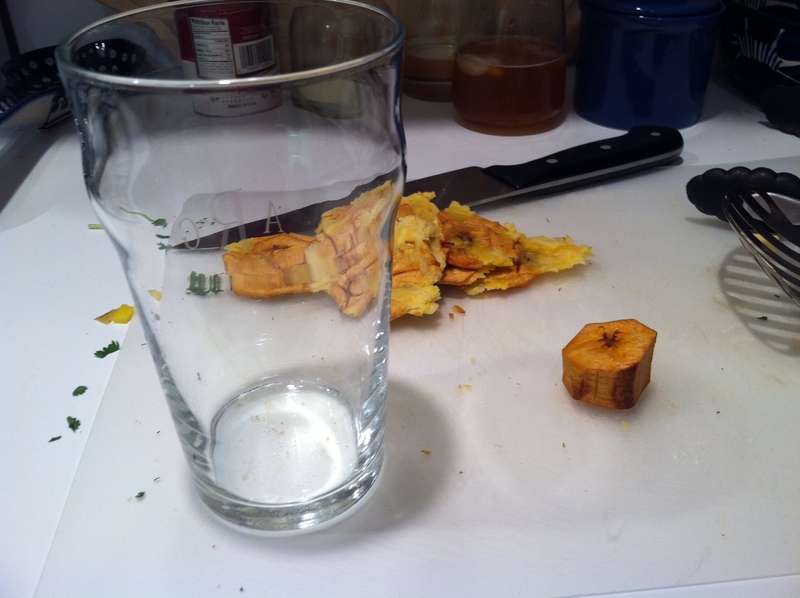 Cut the plantains into 1/2 inch rounds. Fry the rounds for approximately 7-8 minutes, or until golden brown. Once the golden brown color is achieved, remove from oil to a plate with a paper towel on top. You can see in that picture that there’s an about-to-be-smushed plantain in the foreground with some previously-smushed plantains behind it. You don’t want it to be too thin, maybe a little less than half of its current width; approximately 1/4 inch thick. 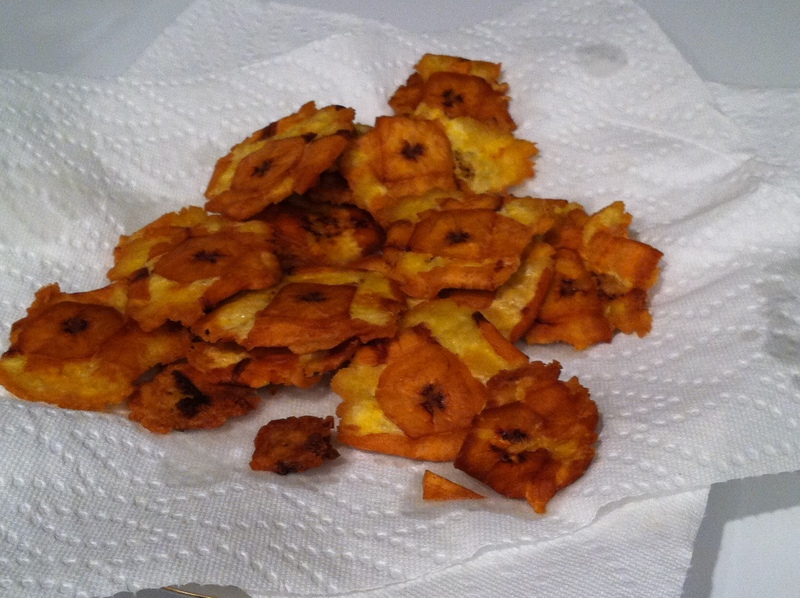 Once the oil has had a chance to regain its heat, fry the smushed plantains again for about 3-4 minutes. Remove from the heat, season with the sea salt, and serve hot. Enjoy!